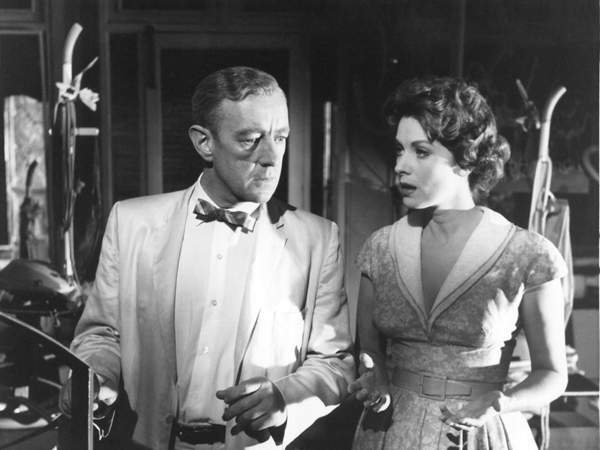 A Cold War spy satire with an amazing cast, Our Man in Havana is a tour de force for Alec Guinness. 1959’s Our Man in Havana was the third collaboration between director Carol Reed and novelist Graham Greene—their best known work being 1949’s The Third Man. The movie begins with a title card: “This film is set in Cuba before the recent revolution” and it was actually shot in Havana two months after the Bastia regime fell with Fidel Castro’s blessing. 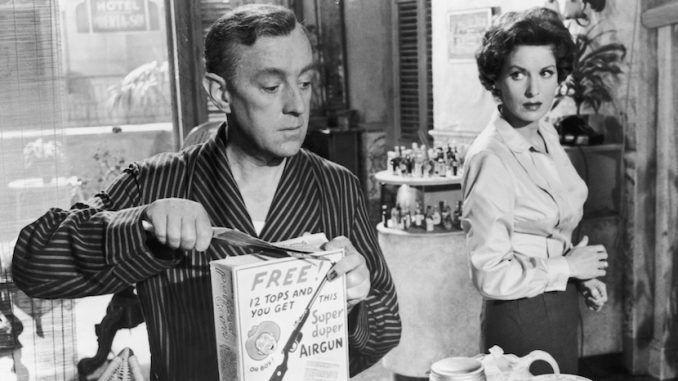 A Cold War spy satire with an amazing cast that sometimes reminds you of an Ealing film, Our Man in Havana is a tour de force for Alec Guinness. Guinness plays a ho-hum vacuum cleaner salesman, James Wormold, who lives above his vacuum shop with his young daughter Milly (Jo Morrow). Wormold dreams of a better life for his daughter—complete with finishing school in Switzerland; the kind of a life an Englishman selling vacuum cleaners in Cuba can’t afford. 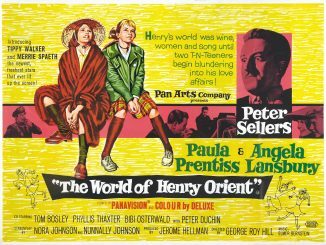 An opportunity for such a life presents itself when Wormold is recruited for the British Secret Service by a gentleman named Hawthorne (played by the great Noel Coward), who feels being a ho-hum vacuum cleaner salesman is the perfect front for Wormold to be their Havana agent. The job offering 150 pounds per week—tax free—(a grand sum for 1959) with an expense account to boot. Hawthorne tells Wormold that part of his duties are to recruit other agents to work for him and Wormold will report their findings to the home office. Wormold takes advantage of his expense account and sets himself up with a membership at the country club—which Hawthorne believes as reasonable so he can recruit other agents. But one can’t just go from being a vacuum salesman to a super spy overnight, and Wormold has difficulty finding other agents; a difficulty that lasts for weeks. Wormold, not wanting to give up his cushy new gig, decides that if he can’t recruit any agents, he’ll simply invent them. 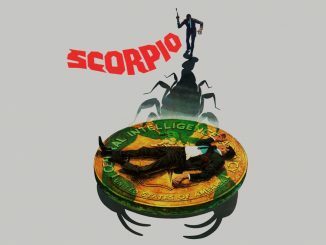 Wormold puts his mind to use, using real and fake names to create a network of agents all working to get undercover information—agents that also receive money. Wormold seasons his story by sending along a sketch of a supposed “installation” that is actually a vacuum cleaner with certain embellishments. Things keep going fine for Wormold, until his fake world starts to overlap with the real one, and some of his “agents”—and himself—find themselves targeted for death. 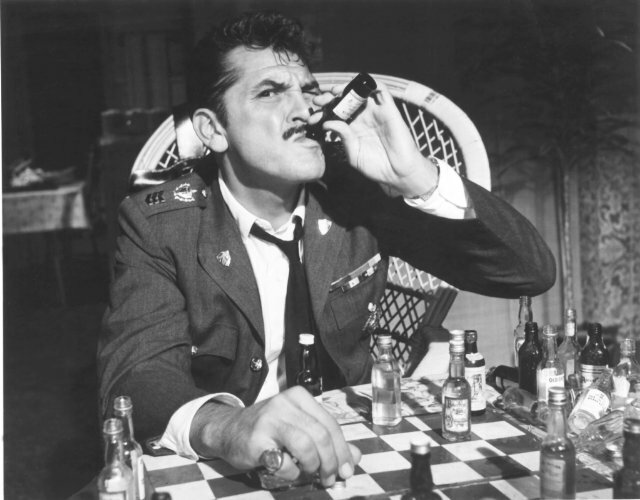 Our Man in Havana is a film that I’ve wanted to see for quite some time after I reading about it years ago in a biography of Ernie Kovacs—who co-stars as the head of the police with a ruthless reputation (Kovacs, ever the cigar connoisseur, supposedly smoked 25 Havanas a day during production in Cuba). Speaking only in terms of the cast, the film is most impressive. Guinness’s leading lady is none other than Maureen O’Hara, and Burl Ives plays the role of an ex-German doctor who fought in WWI—and went to Havana before Hitler’s rise to power. 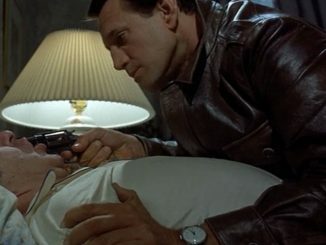 The film is based off a novel of the same name and author Greene adapted the screenplay himself. I can only imagine that having worked with Director Reed twice before, Greene was comfortable letting the director adapt the work. It was a quick turn around too—the film coming only a year after the novel had been published. 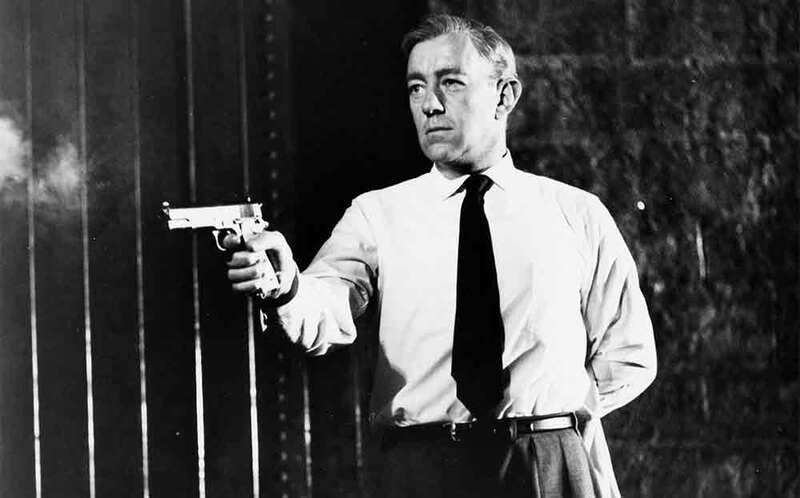 Graham Greene took his inspiration for the story not so much from political unrest in Cuba, as much as his days with British Intelligence—which is where most of the film’s humor comes from. Satirizing the “most British” ways to do things, particularly with how the film ends. There’s the most marvelous running gag in the film where after Wormold tries to recruit his native shop assistant, said assistant doesn’t understand Wormold, and thinks he’s is asking for a “lady for the evening.” At various points in the film the assistant pops up with either a photo or an actual lady for his perusal, constantly confused as to why each one is turned down. Twilight Time’s blu-ray of Our Man in Havana looks fantastic, bringing the beautiful black and white CinemaScope frame to HD with a sparkling clarity and deep richness to even the darkest edges of the frame. The audio is sharp and bright. The only bonus features on this disc are the standard trailer and TT’s Isolated Music and Effects track, plus another fine essay in an included booklet from Julie Kirgo. This is a great release of a wonder film that I was most glad to have finally seen. Everyone is on their top of their game in this film, and the cast is simply the kind you only dream of. This comes highly, HIGHLY, recommended.